2015 was an incredible summer, but we aren’t slowing down. 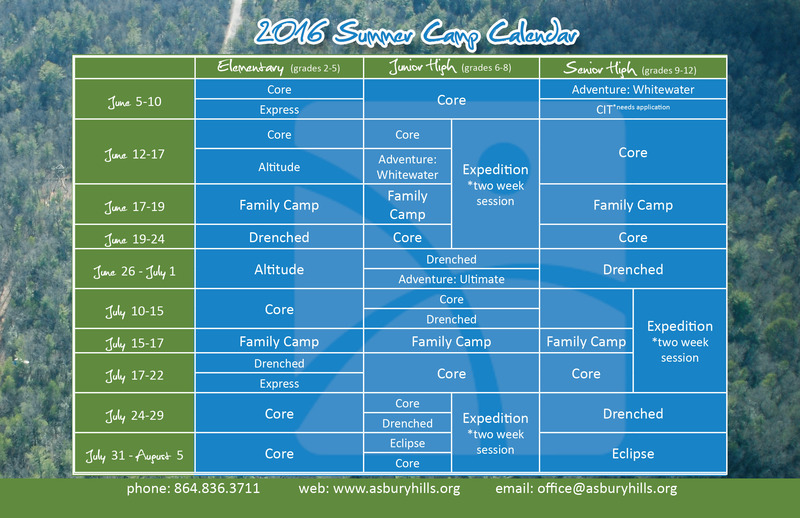 Mark your calendars because here is your 2015 summer camp calendar. We’ve also listened and tried to include more of what you are asking for including Drenched, camps for all ages every week, and another Jr. High Expedition week. We look forward to seeing you next summer!